Clean carpets and upholstery can make the simplest of interiors look welcoming. Keeping your home stain-free is more important than adorning it with expensive accessories; for, if your carpets tell some unpleasant tales of spills and neglect, the decorations won’t be able to do much to compensate for it. By investing some time and a reasonable amount of money on maintaining clean furnishings, you can truly make your home the place you’d love coming back to every evening, besides providing an attractive setting to entertain guests. We Love to Work on Challenging Stains! 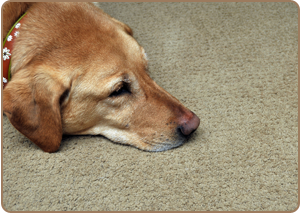 So the next time your pet has a lapse of housebreaking, your kid spills a bottle of ink or you drop your nail polish on the carpeted floor, you won’t need to stress yourself over a permanent ugly spot; all you need to do is quickly (the sooner, the better) call the Versatile Cleaning Group home to make up for the accident. At Versatile Cleaning Group, we believe it’s all about a great customer experience and service! Along with being extremely skillful at what we do, we also practice the ethics of a customer-focused service. Every chore, be it small or huge, is undertaken responsibly and dedicatedly in the hands of Versatile Cleaning Group professionals. Our team comprises some genuinely helpful people who are experienced in dealing with various kinds of domestic staining problems, and our aim is to come up with the best solutions to help you achieve a stain-free home. 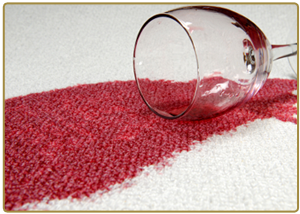 We give you a most reliable fabric protection treatment, which ensures that your carpets get much less likely to get stained from any future spills. Once the fiber protection is installed, it becomes far easier to clean off accidental spills on your own. Let your home speak for itself; allow the Versatile Cleaning Group to become your trusted cleaning ally in Indianapolis!